To read and write node and edge representations. They are the same graph, except that DGLGraph is always directional. One can also create a graph by calling DGL’s own interface. # edge broadcasting will do star graph in one go! 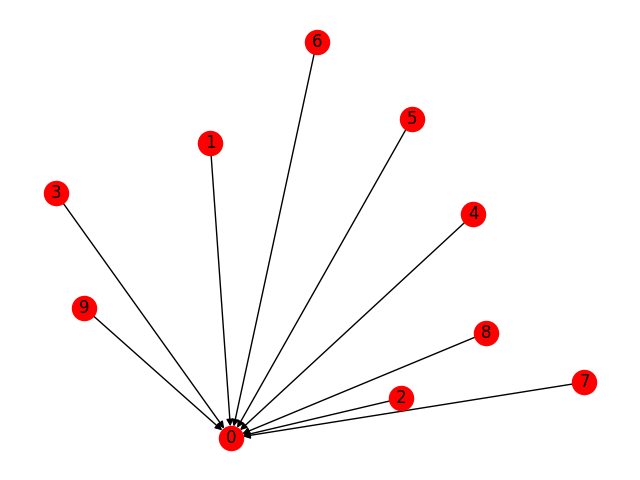 One can also assign features to nodes and edges of a DGLGraph. The features are represented as dictionary of names (strings) and tensors, called fields. The following code snippet assigns each node a vector (len=3). DGL aims to be framework-agnostic, and currently it supports PyTorch and MXNet tensors. From now on, we use PyTorch as an example. ndata is a syntax sugar to access states of all nodes, states are stored in a container data that hosts user defined dictionary. Assigning edge features is in a similar fashion to that of node features, except that one can also do it by specifying endpoints of the edges. After assignments, each node/edge field will be associated with a scheme containing the shape and data type (dtype) of its field value. One can also remove node/edge states from the graph. This is particularly useful to save memory during inference. 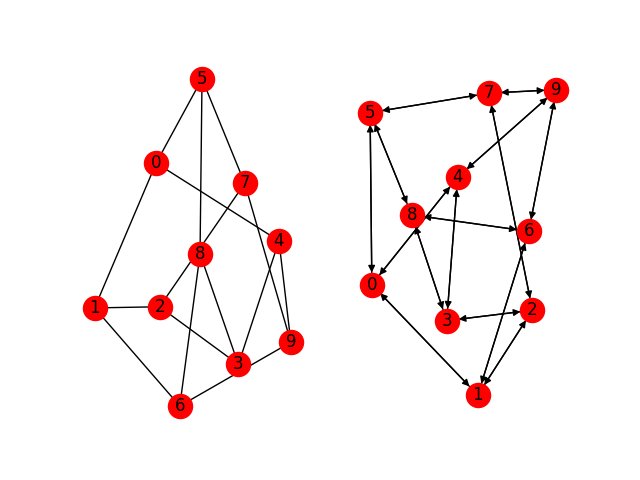 Many graph applications need multi-edges. To enable this, construct DGLGraph with multigraph=True. An edge in multi-graph cannot be uniquely identified using its incident nodes \(u\) and \(v\); query their edge ids use edge_id interface. Nodes and edges can be added but not removed; we will support removal in the future. Updating a feature of different schemes raise error on individual node (or node subset). In the next tutorial, we will go through the DGL message passing interface by implementing PageRank.